Applications are invited for the Hong Kong Postgraduate Fellowship Scheme (HKPFS) studentships to commence study in September 2016. HKPFS is a special scheme run by the HK University Grants Council designed to attract the best students for doctoral study in Hong Kong. The scheme is extremely generous in terms of remuneration and benefits and it is open to all applicants irrespective of nationality. For a copy of HKBU’s information about the scheme, please contact Colin Sparks. Students with other interests within these general areas are strongly encouraged to contact the School to discuss whether we possess the expertise to supervise them should they decide to apply. Our doctoral programme is very international in orientation and composition. Roughly 30 per cent of our doctoral students are from outside China. We have students from Europe, the US, Africa, South Asia and East Asia and we are keen to maintain such a cosmopolitan student body. The general conditions for admission to the university’s Graduate School are at: http://gs.hkbu.edu.hk/. Hong Kong is an excellent place to study for a doctoral degree and a very exciting place to live. HKBU is very well supported by the UGC and research is one of our main priorities. Universities enjoy a high level of academic freedom. (Incidentally, despite its name, Hong Kong Baptist University is a secular public university that welcomes students of all religions and none.) Hong Kong bills itself as “Asia’s World City” and has a diverse population. Faculty and students are active participants in the city’s vigorous civic life. There is a two-step application process. Potential students must first register their interest with the UGC at the URL above and obtain a registration number. They then apply to HKBU through the Graduate School using that registration number as a reference. Applications are exclusively electronic. Applicants must submit their initial applications through the Hong Kong PhD Fellowship Scheme Electronic System before the deadline on 1 December 2015 at 12:00 noon Hong Kong Time. Should any of your students be interested in learning more about these opportunities, they can feel free to contact the Director of the Doctoral Programme, Colin Sparks. Ling Chen (PhD, Ohio State Univ.) is a Professor in the School of Communication, Hong Kong Baptist University. Her areas of interest include Chinese Communication, Communication Competence, Intercultural Communication, Language and Social Interaction, and Organizational Communication. Her interest in the role of culture in communication in different social contexts at various level of interaction and in intercultural encounters has been a center of her research and scholarship. She has published 2 books and more than 50 articles in journals such as Communication Monographs, Communication Research, Human Communication Research, International Journal of Intercultural Relations, Management Communication Quarterly, Research on Language and Social Interaction, etc. and conducted research on such topics as verbal adaptive strategies in native-nonnative speaker interaction, managerial communication in Chinese business organizations, friendship dialectics among Chinese in Hong Kong, cultural learning of sojourners, cultural identity as a production in process, Chinese traditional value orientations, argumentative tendency of Chinese and Japanese. 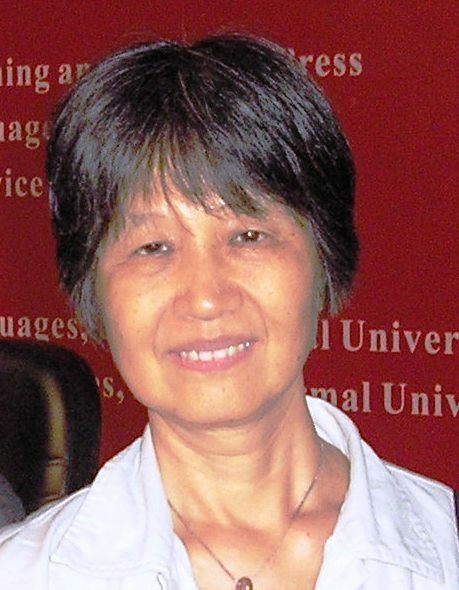 Chen has been active in professional associations and served in a variety of capacities, e.g., as Intercultural Communication Division Chair of the International Communication Association, President of the Association for Chinese Communication Studies and Vice-President of China’s Association for Intercultural Communication Studies. Chen is currently Editor of Management Communication Quarterly, Associate Editor of Communication Theory, has also served and is serving on the editorial board of a number of international journals, in communication and related disciplines, e.g., Chinese Journal of Communication, Communication Studies, Discourse and Communication, Human Communication Research, Howard Journal of Communications, Journal of Applied Communication Research, Journal of Communication, Journal of Intercultural Communication Research, and Management Communication Quarterly.